Do you enjoy finding inexpensive and unique ways to decorate your home? A few years ago, when money was tight, I began to look around for creative yet inexpensive ways to decorate our home. 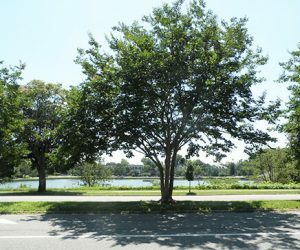 I had no money to decorate, but I couldn’t stand having a boring home because of it. 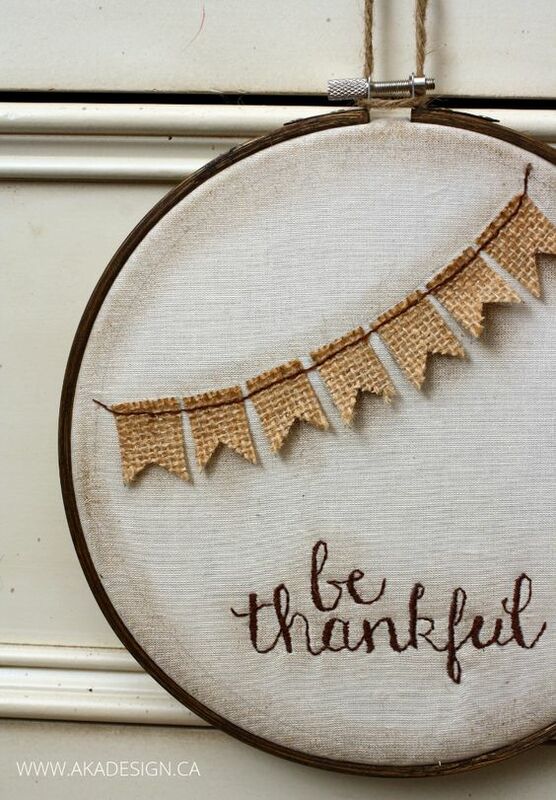 I scoured the internet and found I could use embroidery hoop art to make tons of décor items. Thankfully, I had a mother-in-law who had tons of embroidery hoops she wasn’t using. With a few donations from friends and family, I was ready to decorate. 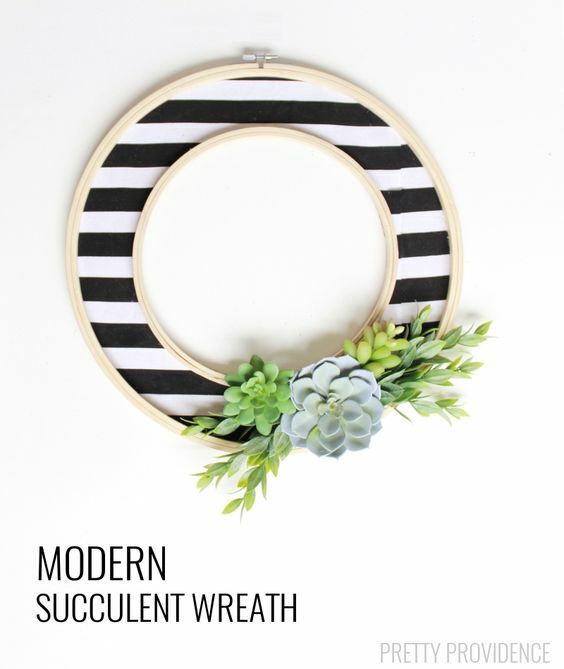 This tutorial is a wonderful way to make a gorgeous wreath for your home. It includes a cute wooden welcome in the middle. Yet, it also includes color with the added floral pieces. 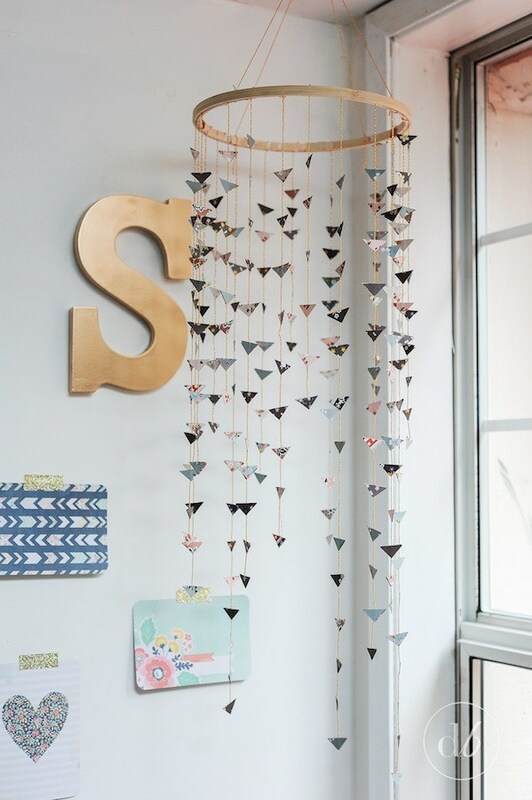 If you’d like a fashionable way to welcome people to your home, give this tutorial a try. I failed to mention in my opening, not only was my budget non-existent for décor items, but I also struggle with being creative. If you fall into this category too, you’ll love this wreath idea. It’s simple to create but is still charming. If you need a festive wreath but don’t want it to be complicated, this wreath is for you. I love this idea. If you have a blank wall which needs some accenting, but you don’t want to paint an entire wall, this idea could be for you. Basically, you use multiple embroidery hoops and fill them with different colored cloths. 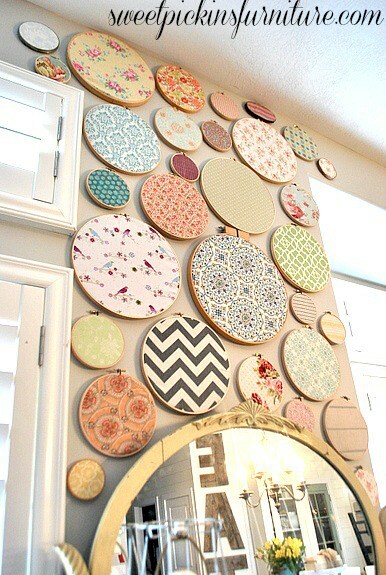 From there, you hang them all over the wall for a pop of color. This idea was birthed by someone having an old embroidery hoop they wanted to utilize. They used sheet music as the background. From there, they added snowflakes, buttons, and Christmas trees. It’s a simple and inexpensive way to add some charm to your home for the holidays. 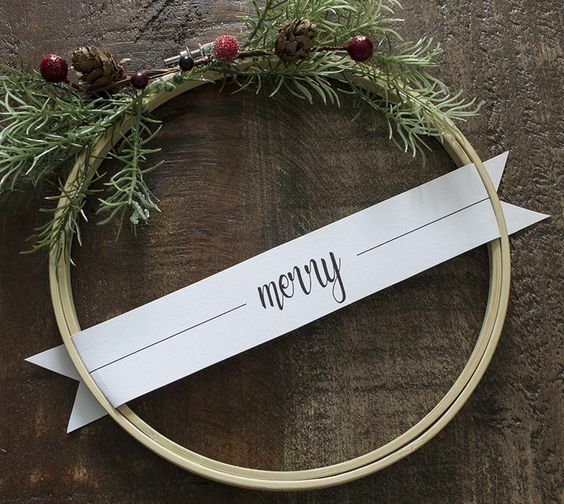 This wreath is a modern, fun, and simple way to create a gorgeous wreath out of a couple of embroidery hoops. The idea is to put fabric between two embroidery hoops of two different sizes. When everything is held in place, add succulents for an earthy touch. Do you enjoy Halloween? It’s my youngest’s favorite holiday. If you’d like to decorate your home in a festive yet fashionable way, check out this idea. You’ll use two embroidery hoops. 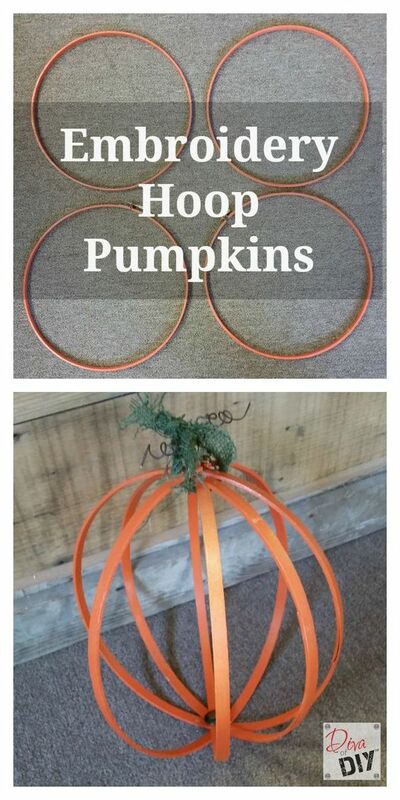 Fill each hoop with a different pattern. One can look like a giant web, and the other could look like a spider. Have you found an extra large embroidery hoop? 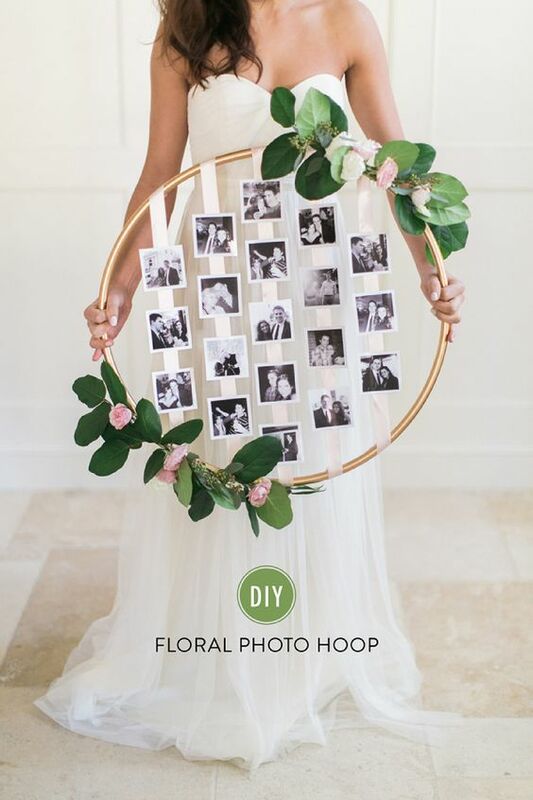 It could be your lucky day because you could make this awesome photo hoop for home décor or for a special occasion. The idea is to put flowers on the outside of the embroidery hoop, but string pictures on the inside of the hoop. It’s a unique way to display tons of photos. 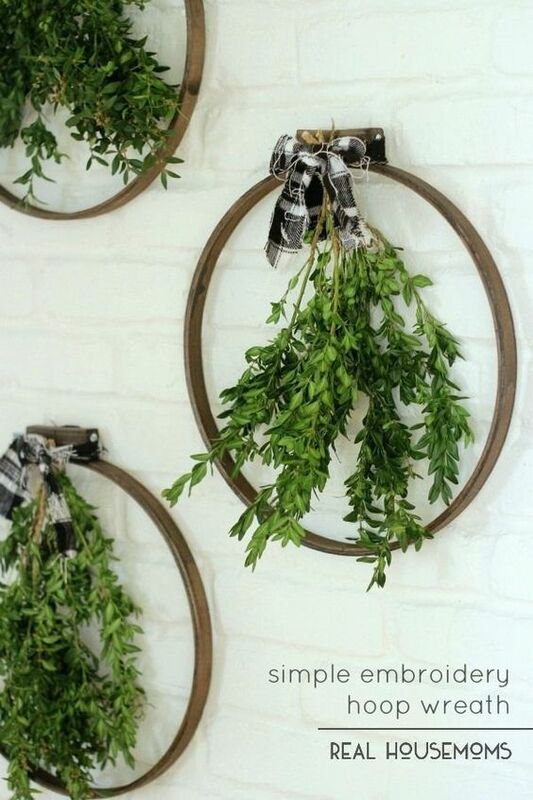 This wreath could also be a great way to dry fresh herbs. Hang herbs or other greens from the center of your embroidery hoop. When everything is hung in its proper place, put a ribbon in the center to add more color and hide where you’ve attached the herbs. When my kids were little, it didn’t enter my mind to make mobiles for their cribs. I went to the store and purchased them like everyone else. Now I’ve seen this mobile I’m convinced, whether you have a baby in a crib or are looking for a modern décor item, this mobile should be on your radar. I love personalized Christmas trees. 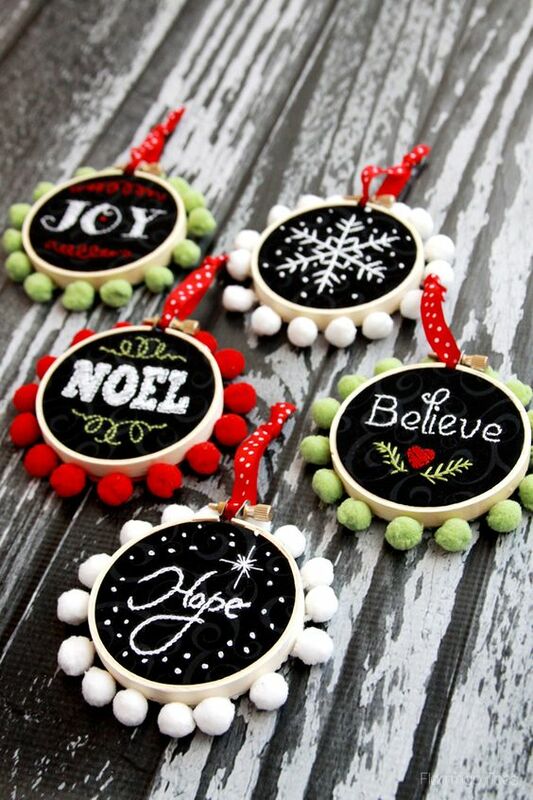 One way to personalize them is to make your own ornaments. 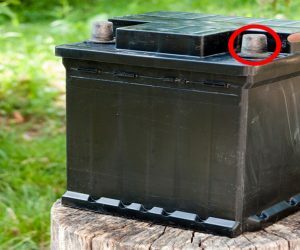 This year give this tutorial a try. Instead of purchasing expensive ornaments, find small embroidery hoops. It’s meant to look like chalk writing when in fact it’s stitched into a hoop. 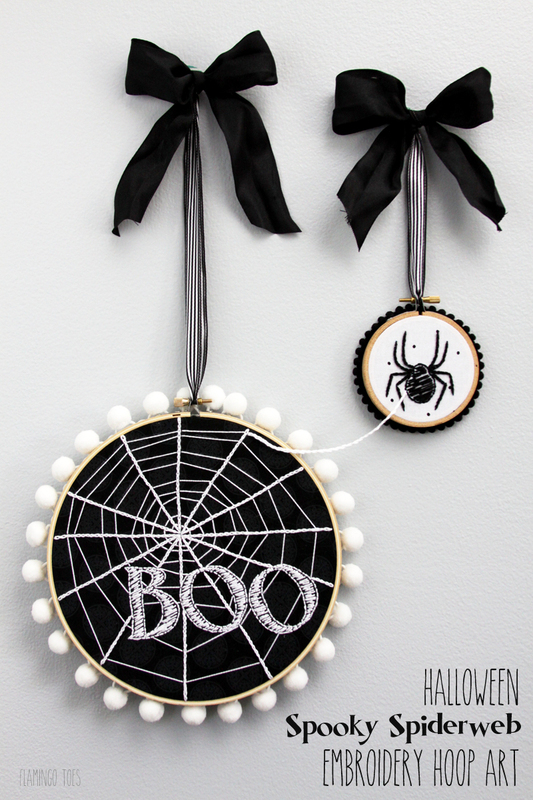 This is such a cute idea and simple for decorating your home for fall or Halloween. You’ll need a few different sizes of embroidery hoops. 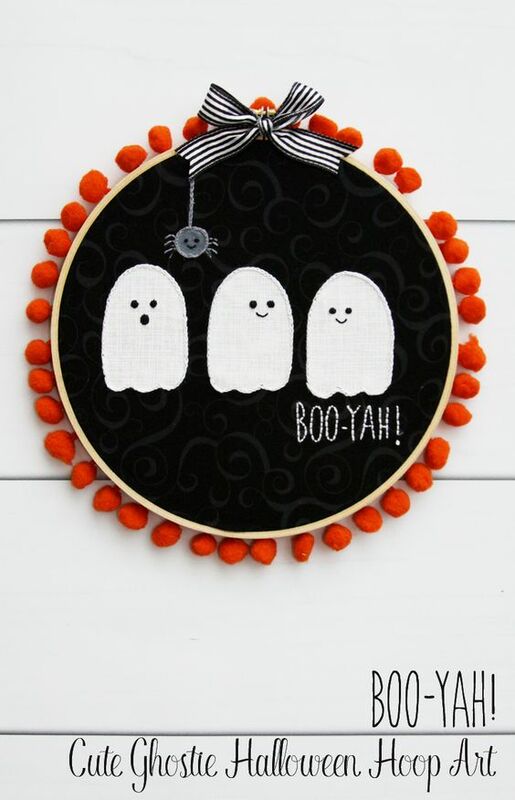 From there, use different types of fabrics to fill the center of each hoop for a unique and adorable embroidery hoop art design. Terrariums are a modern and fascinating way to decorate your home. You can use embroidery hoop art to create the terrarium with this idea. The embroidery hoops are interlocked. From there, you use a mossy material in the bottom to be able to hold the dirt which is where the succulents will be planted. I’m through the years of having children, but if you’re expecting or hoping to add another addition to your family, you must check out this idea. 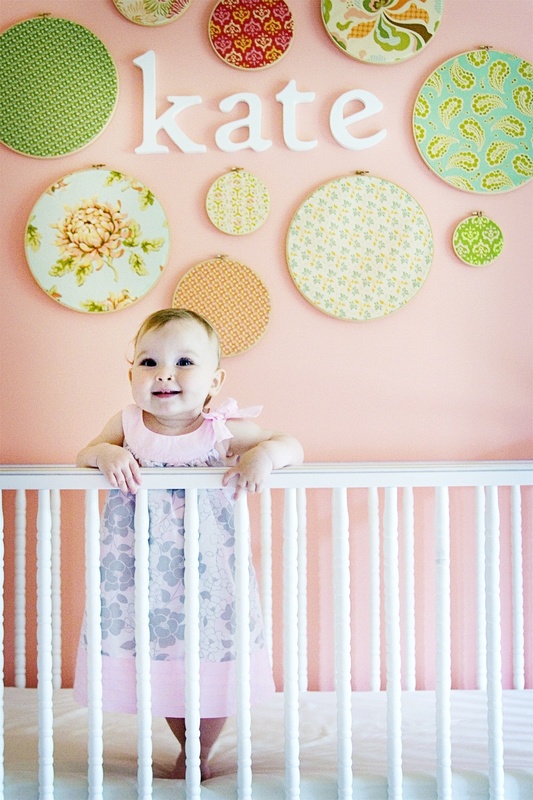 You create their name by purchasing and painting wooden letters. 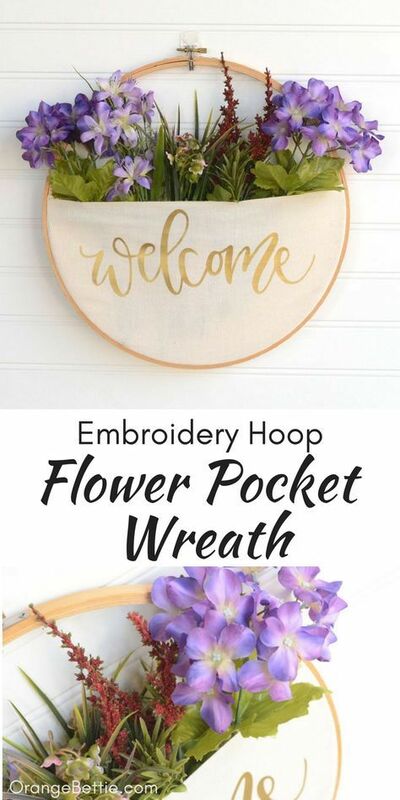 From there, hang embroidery hoops with different fabric around their name. This is another simple yet festive way to decorate your front door around the holidays. 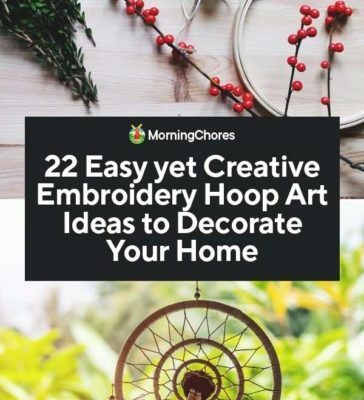 You’ll need two different sizes of embroidery hoops. The hoops are joined together and have burlap put in their centers. 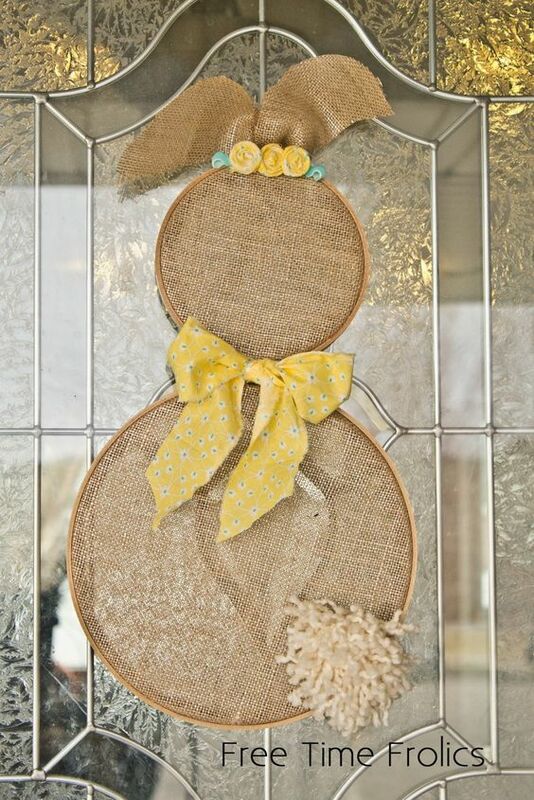 You’ll make burlap ears and have a festive door decoration in no time flat. Monogrammed items are all the décor rage right now. If you try to purchase them, you’ll pay a hefty price for your initial to be on something. 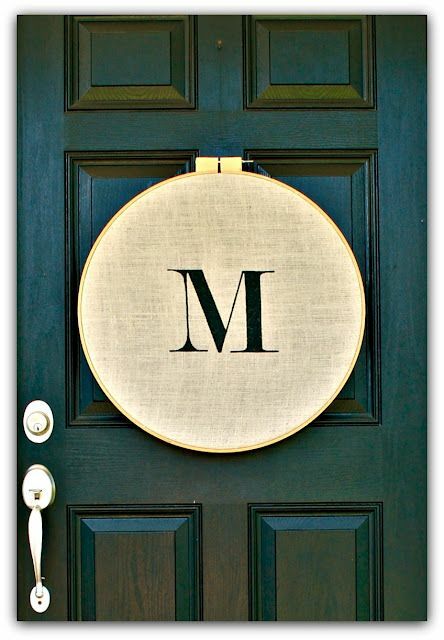 Yet, if you follow this décor tutorial you can create a simple monogrammed embroidery hoop art wreath with little effort. I purchased new lampshades approximately a year ago. I was stunned at how expensive it was, considering I hadn’t purchased a lampshade which wasn’t secondhand before. But if I had seen this awesome idea, I would’ve made them. 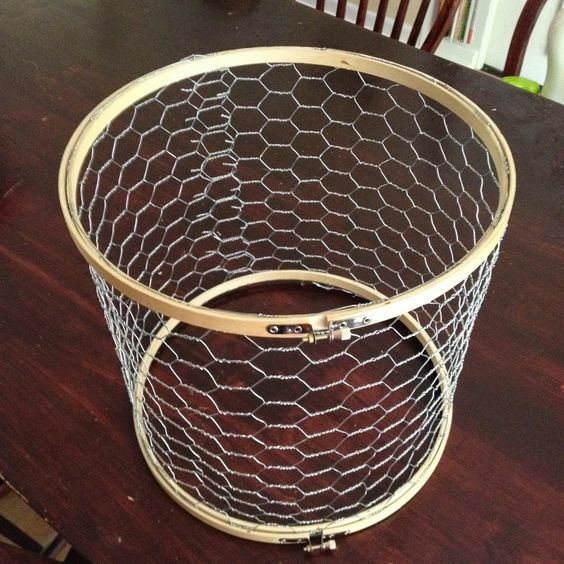 You’ll use two embroidery hoops and connect them with chicken wire for a unique and rustic design. Do you know how to cross-stitch? Would you like to find an awesome and cute design for Halloween? This is another template which would make great embroidery hoop art. It’s a perfect design for Thanksgiving. You can follow the tutorial and also enjoy the free template to help you achieve this desired look. This is another easy yet unique design idea for embroidery hoop art. 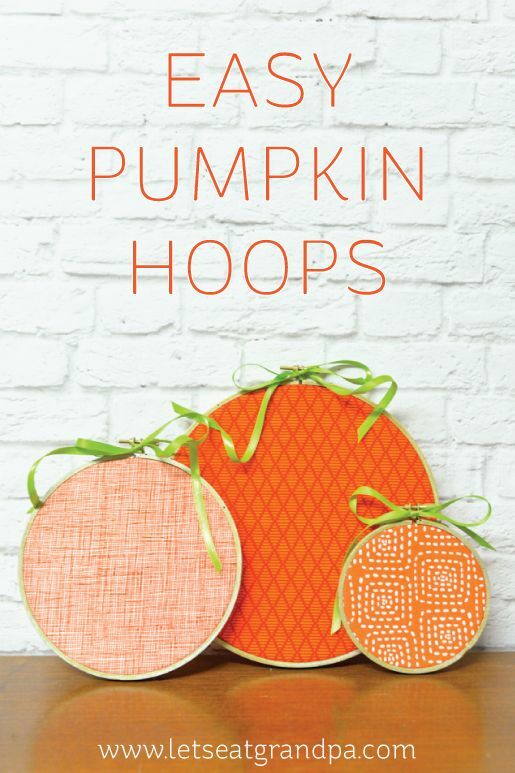 The hoops should cross each other to where they form a pumpkin shape. They can be painted to look like a pumpkin and topped with different items to look like a stem. This embroidery wreath is a beautiful design. It shows a piece of cloth forming a pocket inside the embroidery hoop. When the pocket is finished, flowers are added for a nice boost of color. You can even add wording to the pocket. 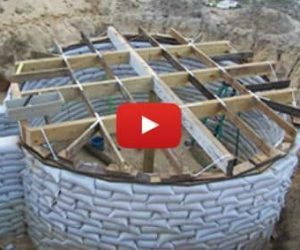 Are you ready for winter? Don’t forget about decorating for Christmas. You don’t have to spend a fortune doing it either. Instead, use three embroidery hoops and fill them with white cloth. 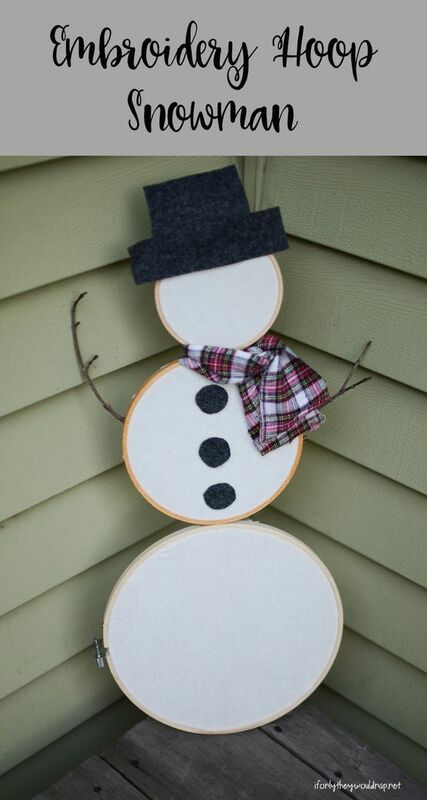 Add a few finishing touches to make it look more like a snowman, and you have an adorable Christmas decoration. I remember the first time I tried to sew a windsock was in home economics class in the seventh grade. I failed miserably. 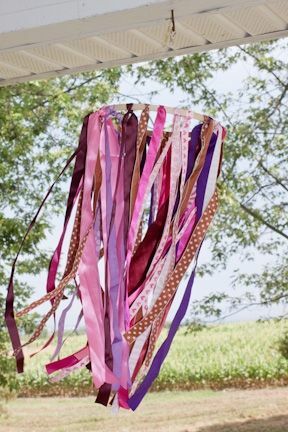 But this adorable windsock is something even I could make. 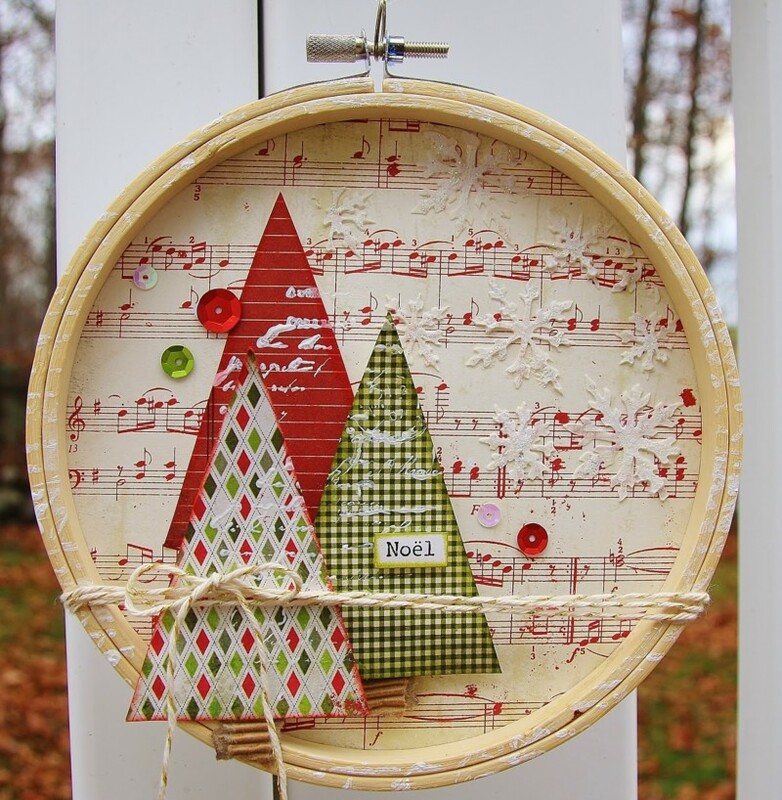 You use an embroidery hoop and attach a way to hang it from the top. Attach different ribbons, and you have a cute work of art on your hands. Well, you now have over 20 different options for embroidery hoop art décor items. I hope they’ll inspire you to decorate your home even on a small budget.